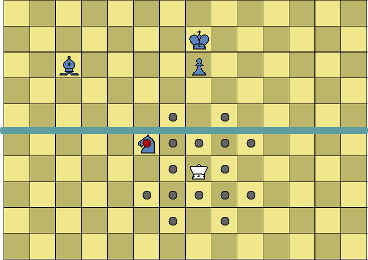 the historic variant, Courier-Spiel . 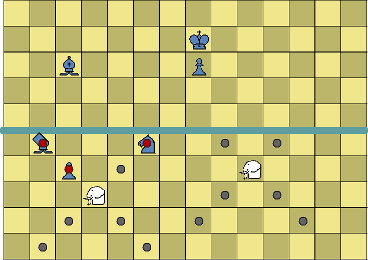 It includes all the standard Chess pieces, as well as the Cannon from Chinese Chess and its diagonal counterpart, the Vao. 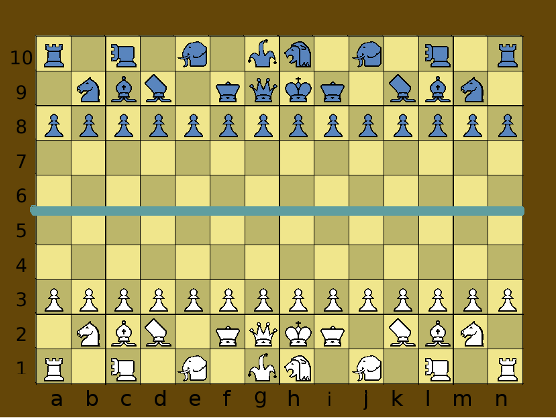 The usage of some names differ from that usually found in FIDE chess. The Bishop is called a Courier, the Knight is called a Horse, and the Vao is called an Arrow. As well as the Courier piece itself this variant also includes the Fool, Councillor, and Bishop from Courier-Spiel. The Fool retains its name while the Councillor is renamed the Sage and the Bishop becomes the Elephant. Finally a new piece, the Leo, is added which combines the Arrow and the Cannon reflecting the way that the Queen combines the Courier and the Chariot. 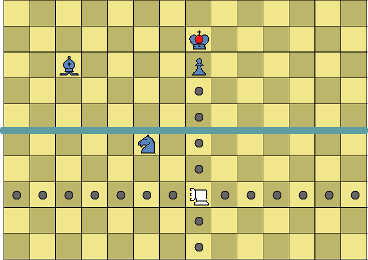 Kings may not cross the river, which lies between ranks five and six. 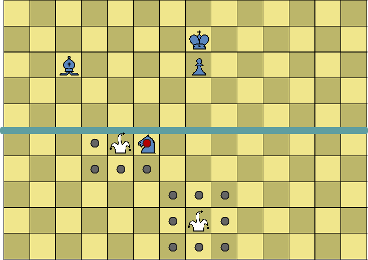 Kings may not face each other across any empty vertical or diagonal line. 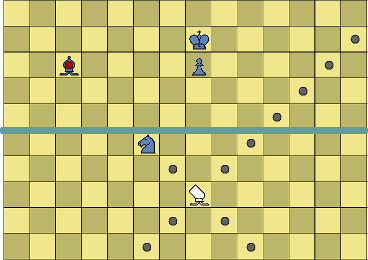 When moving to any of the last three ranks, a Pawn may promote to any of that player's captured pieces, but not to King, Fool, or Elephant. 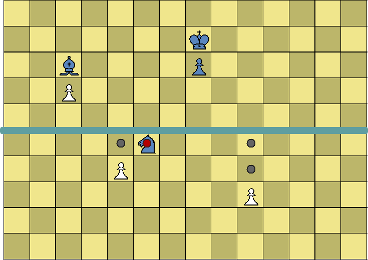 A Pawn may not advance to the last rank unless there is a captured piece to which it may promote. This is shown in the next image below, taken from my ZoG implementation. 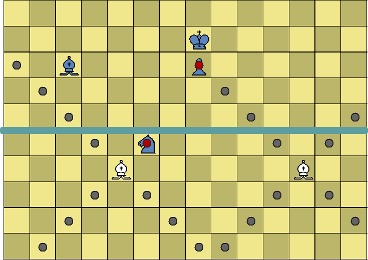 The board consists of 140 squares (14x10) and each player has 32 pieces placed over three rows. The piece types are those found in Eurasian Chess plus three types from Courier-Spiel. while captures are shown by red dots.